While we recently reported on a brand new set of Minnie Ears coming to the parks from this collection, turns out the entirety of the Briar Rose Gold Collection is also set to debut at Walt Disney World on April 1, inspired by Princess Aurora (aka Briar Rose) from “Sleeping Beauty”… and for fans of the traditional Rose Gold tone, we have some bad news. 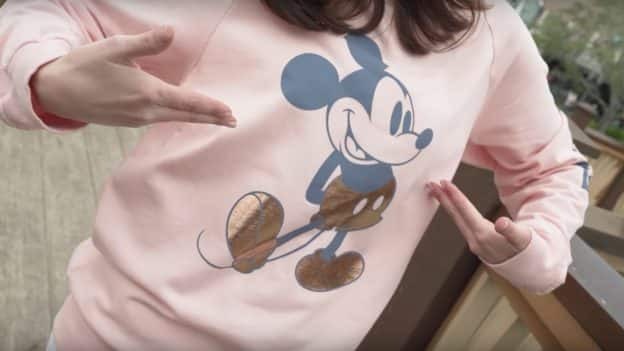 Briar Rose Gold Minnie Mouse ear headbands, Spirit Jerseys, backpacks, jewelry, tumblers and more are on their way to merchandise locations at the Walt Disney World Resort. The Briar Rose Gold Collection is just the latest in a line of fun colors inspired by hot fashion trends, like rose gold, millennial pink and Potion Purple. Guests who wish to purchase the traditional Rose Gold Minnie Mouse ear headbands – the very first in this trendy line of fashion-forward Minnie Mouse ear headbands that no true Disney fan is complete without – before they’re gone from our parks, should do so by the end of March. They are available at locations throughout the Walt Disney World Resort.